This time we will introduce the activation (initial setting) method of phantom4Pro. Activation is the task of authenticating the app and drone body that the drone is yours when you buy a DJI drone. Therefore, it is necessary initial setting whenever you purchase a new drone. 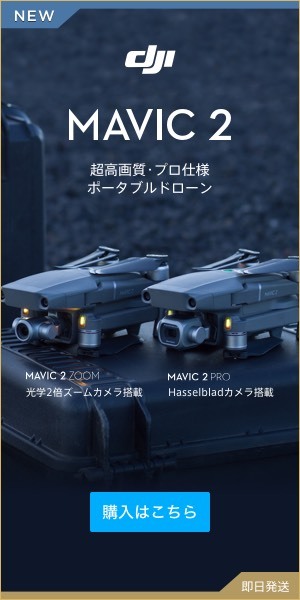 Below, the picture is quoted from the above video DJI Japan Support. 1: Introduction Turn on the transmitter and drone body. For turning on the power, it is necessary to press and hold the power button twice and keep pushing for 2 seconds or more for the second time. Let’s do in the order of. 2: Let’s connect the transmitter and the mobile device with a USB cable. 3: Let’s keep the mobile device in an environment where it can connect to the Internet. 4: Let’s start the DJI GO 4 application. When you activate it, the “Activation” screen should be displayed. 5: Tap “Next” to add “Aircraft name”. Let’s give it a name you like! 7: Unit and video output method will be selected. If there is no prejudice here as well, it will be OK with the default setting. When you are flying a drone for the first time, it is a good idea to set this beginner mode. By default, you can flight drones safely as you can not separate drone more than 30 m in height and distance. Moreover, in the beginner mode, we can not take off in an environment where “GPS” can not be received. Please note that you can not change the activation account once it is registered. Information on Drone is linked to the account registered here and will be required when receiving repair or after-sales support. Tutorial videos etc. are to be seen as following the guide, so beginners should look at once. I shot "a mountain cherry tree" in Arai prefecture Shinjo city with Mavic PRO. Phantom4pro’s ability to strengthen function and safety | Phantom 4 and compared it thoroughly!